Passing chords are like temporary stepping stones between chords in a progression. When used correctly, passing chords add harmonic variety and make your playing sound more interesting and dynamic. Passing chords do not have to be in the key you are in and in fact, they are often more effective when the chord is not in the key you are in. 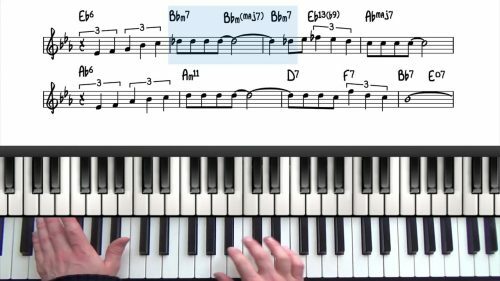 In this lesson we will are going to apply passing chords to a major 251 and also in context to a few different jazz standards. A very common type of passing chord is a chromatic passing chord built a half step above or a half the target chord. In particular, a dominant chord a half step above will always lead very nicely onto the target chord. 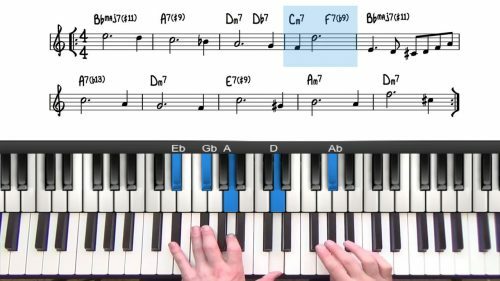 In this lesson we explore some advanced applications of upper structure triads in context of jazz standards we have covered. Learning and memorising all of the upper structure triads is a daunting task! This lesson introduces the upper structure cheat sheet. First take the major 251 progression and try adding a dominant passing chord a half step above the 1 chord. Repeat the same process with the minor 251 progression. Remember that you can also add alterations and upper structure triads to the dominant passing chords to create more tension and strengthen the sense of resolution. 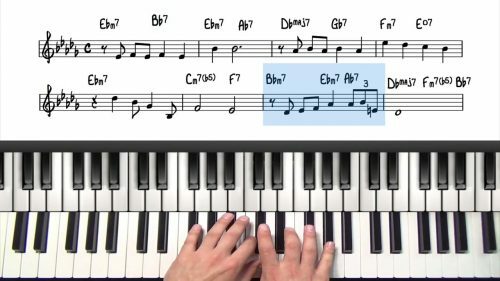 Apply this technique to the jazz standards you are working on - this is a process of trial and error, you will find combinations that work, combinations that don't work and this is part of the learning process.